This was a church where, heretofore, everybody knew who everybody was. The kind of thing you expect in a rural church environment. Suddenly, that was about to change, and there was apprehension, if not plain fear about the implications of going to church on Sunday morning and not being in command of the first and last names of all the people in the auditorium. Some churches have always resolved the identification issue by having a bulletin board at the back with photos of “Our Church Family.” A local church in our area raised the quality standard on this a few years back. When the professional company doing their photo directory was done, the church was presented with a couple of beautiful, framed wall prints showing everyone’s directory photo and name alphabetically. I’m sure it is often referred to, given that church’s size. Another option is name tags. Besides the risk of the pin-type tearing clothing — many churches opt for the lanyard type — I’ve always felt it reminiscent of the “elder” name tags worn by the Mormon (LDS) missionaries who come knocking at your front door at inopportune times. But some churches thrive on this system, with visitors quickly assigned a quickly-scribbled Sharpie version which, I’m quite sure, would make seeker-friendly advocates like Bill Hybels shudder in horror; although it beats asking visitors to stand up and give their names, a practice I sincerely hope has disappeared by now. It also raises an issue I don’t have space to get into here: The artificiality of the “turn around shake hands” type of forced fellowship. Or name tags themselves. If you click the image on the name tag at right, it will take you to a blog post on that subject. Of course, the organic approach to getting to know people is small groups. You won’t know everyone, but you’ll build deep relationships and strong community with the others in your group. And possibly at that point, knowing everyone’s name won’t be so high a priority. Which brings us to church directories. I then explained the nature of his job, and the notion of privacy. There are other examples I can think of where families have chosen to opt-out completely from even having their names listed, but in most small and medium-sized churches, a church telephone directory is still considered useful, even though some online people haven’t picked up a phone handset in years; so most people participate. Directories easily fit into the collection of things listed above (name tags, photo boards, etc.) but offer something else: A means to get in touch, or stay in touch with other people in your church throughout the week. You can call the kid’s teacher to see if he left his Bible in the classroom, ask the worship leader’s wife for the title of the book she mentioned in the lobby, and e-mail the woman who said she had a great recipe for carrot cake. You can see where people live, and the names of their children. I am convinced that these directories — with or without photos — are in another category altogether, and sincerely believe that, where feasible, every church should have one. Especially in an age of e-mail. I know there will be pushback on this — some people will not want their e-mail address published — but I am convinced that we live in an electronic world where not having e-mail is like buying a house and taking down the mailbox. I believe there is potential for abuse, but it is outweighed by the contact that can take place between church family members. As a business owner who does a monthly e-mail newsletter, I’m always tempted to steal e-mail addresses from directories, but we’ve learned over time that we’re better off initiating contact some other way before pursuing electronic communication. However, one local church meets this problem halfway by giving business owners a back page to list their name, the name of their business, the nature of their business, and business phone and e-mail information. That same church also has a strong push for people to submit photos. They produce their own directory, and so there isn’t the hesitation associated with commercial photographers trying to sell families additional prints and print packages at inflated prices. In an environmentally-conscious world, some churches have put their church directory online. A login is necessary so that only members and adherents can access the information, though the same login allows those listed to update their own data. At the other end of the spectrum, in another church that we are actively involved with, the directory is simply a list of names and phone numbers. No indication of where people live or if they drive a great distance for worship. No opportunity to send an e-mail; which really grates on my wife and I, who use online communication extensively. The other major liability of their system is that children under eighteen are not listed at all. I’m not sure I can even begin to grasp what kind of message that sends to, for example, the teens in the youth group. (“You’re not really part of our church family.”) It’s an oddity that sticks out all the more if your kids are accustomed to seeing their names in such a publication. The church in question doesn’t really have a large number of children. Coincidence? In a world where privacy concerns dominate so many discussions, and insurance companies advise churches against anything with the faintest hint of liability, the idea of a church directory may seem like a throwback to a bygone era; however this writer is sold on them. I even keep a few old ones now and then as a sort of yearbook of memories of what the church family looked like in the past. Once in awhile, I discover someone in the church family who only lives a few blocks away, or someone who lives next door to someone with whom I’ve recently shared my faith journey. I also remain absolutely convinced that creating e-mail community is absolutely essential, especially as various factors seem to add to the isolation people experience. Your church may prefer to do this through Facebook community; but do update the thing now and then, okay? Computer contact is not the same as face-time, but it’s better than nothing. And those with hesitation can always choose to opt-out of listing their online address, but I find that most choose to share their full contact information. Also, I cannot minimize the role that both standard telephone contact and e-mail contact can play when someone in the church faces an urgent need for prayer. If we’re a family, then family members talk to each other, right? And church isn’t just something we do on Sunday. This 2011 piece was included today as a part two to a more recent discussion we had on this topic yesterday. Today’s graphics are a couple of Cheezburger classics from 2009. 35 Years Later, Bob Jones Retracts Idea of Stoning Gays – The Washington Post quotes him: “I take personal ownership for this inflammatory rhetoric…This reckless statement was made in the heat of a political controversy 35 years ago. It is antithetical to my theology and my 50 years of preaching a redeeming Christ Who came into the world not to condemn the world, but that the world through Him might be saved… Upon now reading these long-forgotten words, they seem to me as words belonging to a total stranger — were my name not attached.” The retraction came after a petition was begun demanding it. A Refreshing Musical Voice – This time last week we had never heard of Heather Janssen who has been posting videos to YouTube for six years. Enjoy a minimalist acoustic guitar cover of Hillsong’s This I Believe, or the fuller grand piano sound of an original song. I had enough material this week for two columns; be sure to check back on the weekend for more. A few months ago I reviewed a unique small group resource from Hendrickson Publishing, The Best of Small Groups DVD with host Brett Eastman. You can read that review here. Last week Hendrickson kindly sent me a copy of the second in the series, The Best of Small Groups Volume 2. Once again I was able to sample the first group session in DVD curriculum series from a variety of independent filmmakers and distributors. The DVD is also an end in itself, as home study groups can cycle through the material with a study guide that is sold separately. I really wish Zondervan or Thomas Nelson had a product like this. Failing that, I honestly can’t understand why they aren’t striving to get their product included in video samplers like this one. There are three repeat teachers from the first volume, Francis Chan, John Piper and Chris & Kerry Shook. Piper’s contribution, like the one in the previous edition is simply sermon video from a conference. It’s indicative of the range of the quality of material you find in a mixture like this, with variances in audio and video quality and overall length. I’m never sure that the Shooks know which camera they’re talking to, and at about four minutes, the Pete Wilson segment is less than half of the shortest video clips in the package and really isn’t fair to users who would be expecting something longer. There are also variances in the amount of scripture content. On this front, I really enjoyed Bill Hull, author of The Disciple-making Pastor, one of two clips I would watch again. The other one was Nancy Guthrie, one of the three women featured in the DVD, ostensibly teaching on Genesis, but opening the first session from the perspective of Jesus’ appearance to two disciples (not among The Twelve) on the Road to Emmaus. Like Piper’s sermon, it was filmed with her standing in place for 30 minutes, but later I wished I had been paying more attention. In terms of production values, it’s hard to beat Mark Batterson’s segment. He tracks with someone hiking across Antarctica against all the expected weather challenges. A little light on scripture, but we have to remember that (a) these are simply first episodes, and (b) we don’t know what is covered in the various study guides or leaders’ guides. The strangest segment is by Dr. Byron E. Crute teaching on the opening to the Lord’s Prayer. People seem to get up and leave in the middle, and the segment ends with someone teaching a song, giving the whole thing the appearance of an outtake from a Christian television network. Mind you, it’s a nice song. Tom & Chaundel Holiday from Saddleback have a segment on energy management, and Eastman’s wife Dee, also from Saddleback Church, teaches on health. James MacDonald doesn’t miss a beat in his segment, and after all these years, I finally found out who Cynthia Heald is, after being aware of her books for several decades. Would I seek out the full curricula for some of these? Definitely the Bill Hull, Francis Chan. I’d recommend the Nancy Guthrie for women’s groups and for a younger demographic, possibly the Mark Batterson. Although I have mixed feelings about the whole patchwork quality of this and the first volume, I have to admit I hope there is a third edition, as these form a valuable service. You have three small groups doing the same curriculum, but one of them had to cancel one week due to illness and another is two weeks behind. So the problem is, how do you fill in the space for the groups that are ahead? 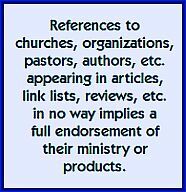 You find the glut of DVD study resources a bit bewildering and you want your individual leaders to be able to select their own studies, but the challenge is, how do they gain familiarity with the different authors, pastors and speakers? Enter a product from Hendrickson Publishing called The Best of Small Groups. This weekend I’ve been watching and listening to Volume 1 in the series. (Volume 2 is now also available.) The DVDs contain 12 samples — the full first week’s episode — of a number of DVD curricula from a variety of producers and publishers and can also be used with a study guide that is sold separately or available in a single copy in a packaged edition with the DVD. Brett Eastman serves as a host creating continuity for the series through is introductions and closing comments for each one. The actual DVD presentations range from 16 minutes to the dramatic story of 90 Minutes in Heaven by Don Piper, which is 38 minutes. Some of the videos are recorded before a live audience, some are shot on location, one is done like a Christian talk show format, but all represent the finest Bible teachers including Francis Chan, Kyle Idleman, Max Lucado & Randy Frazee, Chip Ingram, Erwin McManus, John Piper, and others. The “cut and splice” nature of the product means there are some mis-matched audio levels, and not all the material is going to be of interest to every group, but generally speaking, this is a resource that deserves much broader recognition. I’ve watched eight of the twelve sessions as I’m writing this and looking forward to hearing the rest, and hopefully somehow getting my hands on Volume 2 at some point in the future. Even if you’re not involved with small group ministry in your church, this product represents excellent value-for-money in terms of inspirational teaching and getting to know some great writers and speakers. So you invited a few friends over to watch a movie on DVD this weekend. Comfortable chairs, popcorn, refreshments, right? But what might have been the equivalent in the 18th century. While reading the forthcoming 7 Men and the Secret of Their Greatness by Eric Metaxas, I encountered the term parlor preaching, or if you prefer, the more Anglicized spelling, parlour preaching. Apparently William Wilberforce’s family would have John Newton over for the evening as a guest speaker. If magicians can do parlor tricks, I suppose pastors can parlor preach. Though it seems to harken back to a long bygone era, I love the concept. I just can’t see anyone pulling this off successfully today, especially if you get the kind of preacher whose voice raises when he gets passionate. The sermon, as an art form is slowly fading. Rhetoric in general is getting lost in a world of txt msgs and 140-character Tweets. Most people would rather arrive at your home to find an Amway ambush than to be made to feel they’re at church. With the absence of information we have to do some guessing. My money’s on this phenomenon as being more home church than small group. A theological education was highly prized and respected, so the type of interactive format we enjoy in small groups wouldn’t be as likely to occur. You certainly would never offer an alternative view and you might not feel comfortable asking a question, either. At best, you’d save it until afterwards when tea was served. More likely, it would have resembled house church. There would be a piano in the parlor (aka ‘front room’ or what we would call the ‘living room’) so probably there would be some singing, with the latest worship songs being transmitted from place to place via printed sheet music (no doubt, CCLI song # 12) followed by something the preacher had prepared. Start time and dress would be less formal than Sundays and probably children (if present) would be free to sit on the carpet. We do this today, sometimes inviting friends over to watch a sermon DVD. But we don’t expect our pastors today to be suburban circuit-riders, in fact pastoral home visitation in general is going extinct. In case you’re wondering, the reason I’ve never done a pun here based on sausage links — even though we’ve done lynx cats and cuff links and chain links — is because the necessary pictures are all really disgusting. Just so ya know. Shane Claiborne and Ben Cohen (of Ben and Jerry’s Ice Cream) hit the road to promote awareness of what the U.S. military spends and what they get for their giant spending. Got 15 minutes? Here’s the story of the pilot who was originally scheduled to fly the American Airlines flight 11 from Boston to Los Angeles on the morning of September 11th, 2001. Andrew Root looks at the possibility that while many senior pastors are still working in the youth ministry paradigm they were trained in, a new generation of youth pastors are longing for something else. Excellent piece, highly recommended. Speaking of youth pastors, that’s usually the next person who gets hired as a church grows, right? Ryan Townsend thinks perhaps the second hire should be an administrative pastor. Jeff Leake asks if [North] American Christianity is too individualistic. Sample: “… if you are not involved in a small group on a regular basis, how can you truly be honoring the body of Christ?” Actually that would include my wife and I currently. The Rapture’s song “Never Gonna Die Again” is from an album, In The Grace of Your Love. Sample lyrics: “Your love is higher, shining from above / Lift me high and hold me there, safe and sound / Never gonna die again.” But CT insists this isn’t a Christian band. Huh? Dana at Upwrite kicks around the idea that while Jesus is considered the center of our faith, He actually didn’t preach about himself as much as He preached about the Kingdom. The thing that stood out most from Rachel Held Evans’ article on Complementarians was the part where John Piper gets asked by a guy if it’s okay for him to listen to Beth Moore. Nothing like a practical question, right? Also re. Outreach, Cathy Lynn Grossman snags the top five list of the largest churches in the U.S. On the subject of ‘big,’ be sure to click the 300+ comments. With 17 years of history providing help to low-income families in the U.S., Angel Food Ministries has ceased operations laying off 90 people. Daniel Jepsen catalogs six classic Stupid Statements about Religion. 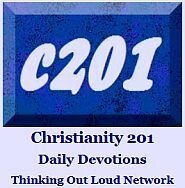 Blog Discovery of the Week: Christian Faith at Work – Integrating Faith With Business. 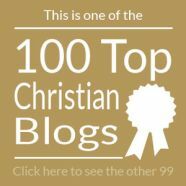 And another, an anonymously authored blog, Bible Translator Foibles. I heard about it from Eddie Arthur who also provided the link to this Bible translation disaster story. Three worship leaders from three multi-site campus locations join together on DVD to teach their congregations a new song. Elsewhere on this blog I’ve reviewed the book by Kyle Idleman, Not a Fan. If you haven’t read that, you might want to start with a general understanding of the major outline of the book, so just click here, and we’ll wait for you to get back. …This, on the other hand is a review strictly of the six-part DVD-based study package available from City on a Hill Productions, and from retail stores which can order product through STL Distribution. Since I’ve already devoted a lot of space on this blog to the H20 course, I want to make some comparisons, but again, if you’re not up to speed about H20 — which I always refer to as “the Alpha Course meets NOOMA” — you can click here for my review, and we’ll wait for you to get back. …Wow. Everybody back? So much to learn and we’re only four paragraphs in. But don’t let my meanderings cause you to miss my full endorsement: This is a very high quality DVD production that is going to generate serious discussion and bring about some equally serious life change in people willing to take the words of Jesus in Luke 9:23 seriously and put them into practice. In fact, I’d say that if you’re looking for some adult, college and career, or senior high curriculum to kick off the fall schedule, this is the the product to very seriously consider at the top of your list. The similarities to H20 are many. Same length per segment, at least 23 minutes min. and 34 minutes max. Twenty times in the New Testament, Jesus Christ issued a compelling and challenging invitation: “Follow Me.” Jesus is not interested in mere fans. He doesn’t want enthusiastic admirers. He wants completely committed followers. Built around the engaging approach of Kyle Idleman, Teaching Pastor at Southeast Christian Church in Louisville, KY, this one of a kind small group study examines what it means to deny one’s self and truly follow Jesus. …Participants follow the journey of Eric Nelson, a man leading a compartmentalized triple life as a pleasure-seeking rebel, a cutthroat corporate executive, and a nominal Christian. But when confronted with a near death experience, Eric embarks on a spiritual journey that transforms his commitment to Jesus Christ and tests the faith of his friends and family. The storyline mentioned above with Eric Nelson is unique to the curriculum and not found in the book. It’s safe to say here — it’s not a spoiler if it happens in the first five minutes — that this is a movie that is centered around a death, and as such it is a much more emotionally weighty production than H20. The subject matter, the use of background music, even the fact that Kyle Idleman wears black throughout most of the production; all these combine to create a number of extremely evocative moments, playing perhaps on our past memories or our greatest fears. Maybe for some the first episode will be an unexpected “downer;” but to do otherwise is to miss the whole point of the scripture verse on which the teaching is based. The series comes with a leader’s guide and a 42-day, 160-page participants (followers) guide, of which extras may be purchased individually for $9.99. I want to end this on a different note, however. I know this isn’t what the creators had in mind, but I think there could be some serious impact by showing it all at once, while the storyline and segments are all fresh and memory, and everyone in the “group” is in attendance for all the various parts. Of course, the traditional and intended format — using the 42-day guide — will work well, too. …I just finished re-watching some of the final episode before completing this, and was reminded of the multiple story lines I didn’t realize I’d been following. Again, I’d write more, but don’t want to spoil anything. Best just to say: This is a really well produced resource that shouldn’t be overlooked by churches, if for no other reason than that it has, at its heart, the core of the gospel. Click this link to see a preview, and a message from Kyle to pastors and group leaders.